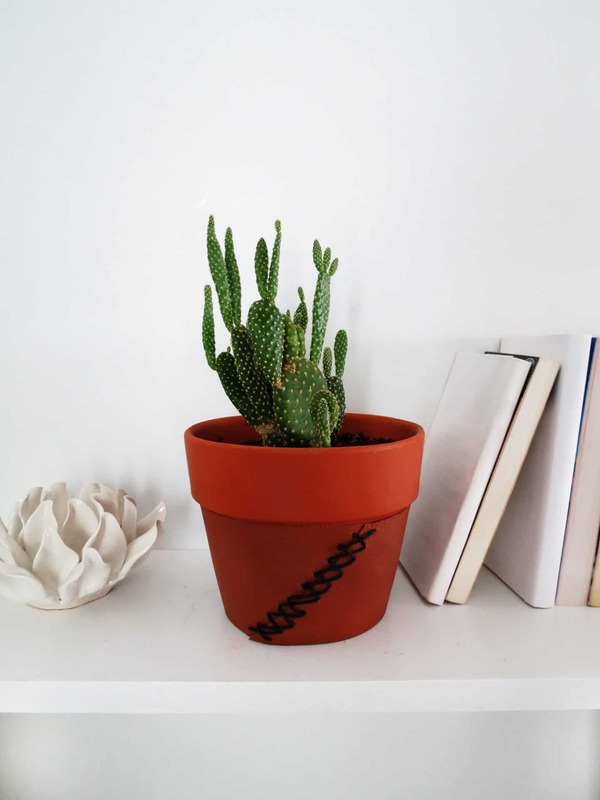 We all know that plants are a great way to decorate a room. There is countless species to choose from and we all have our favorite. One of my fav’ the philodendron, it grows fast and it’s easy to maintain, winning combo! The choice of the planter is almost as much important as the plant if you want to create a nice decor. Plastic pots never looks good and it’s something you definitely don’t want to show. So I’m always looking for nice planter to buy or great ideas to make some. 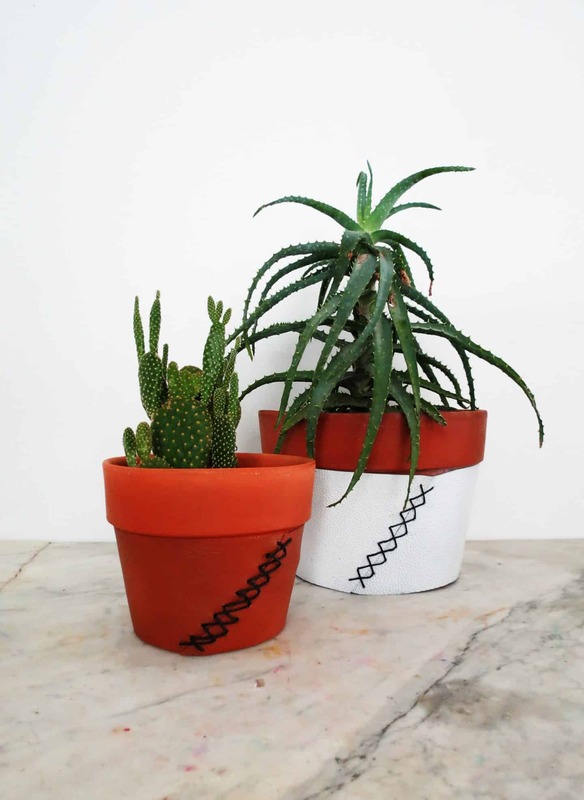 Here is an easy and stylish way to customize a terracotta planter. 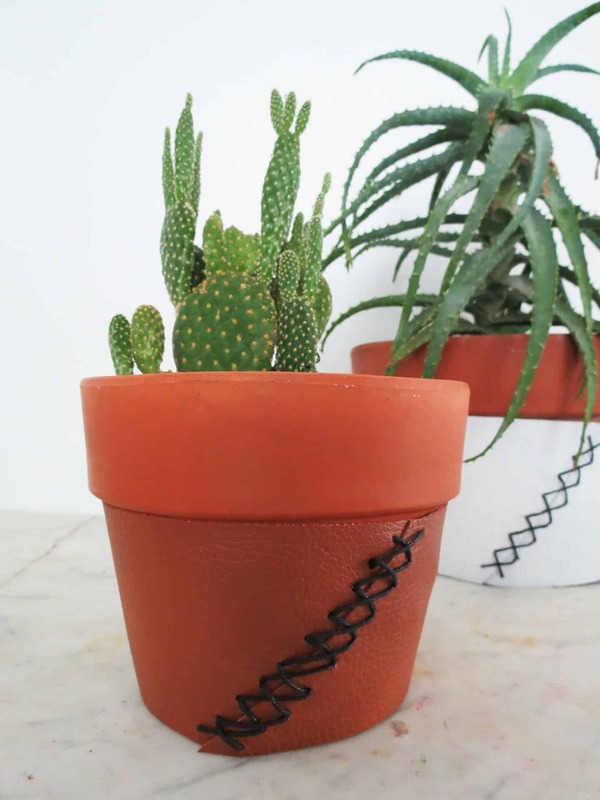 This leather cover will turn any random planter into a pretty decor item. 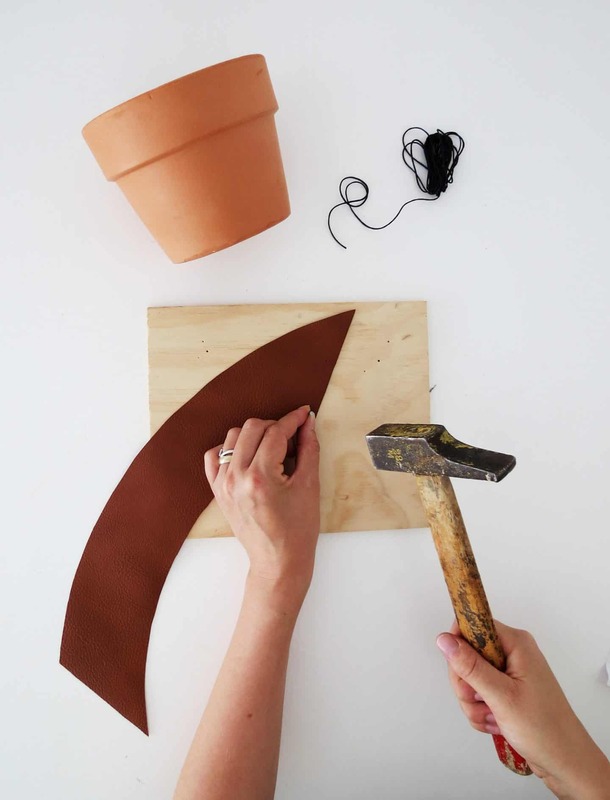 Let start by making a template to cover the lower part of the terracotta planter. You need a paper sheet long enough to cover the circumference of the planter. 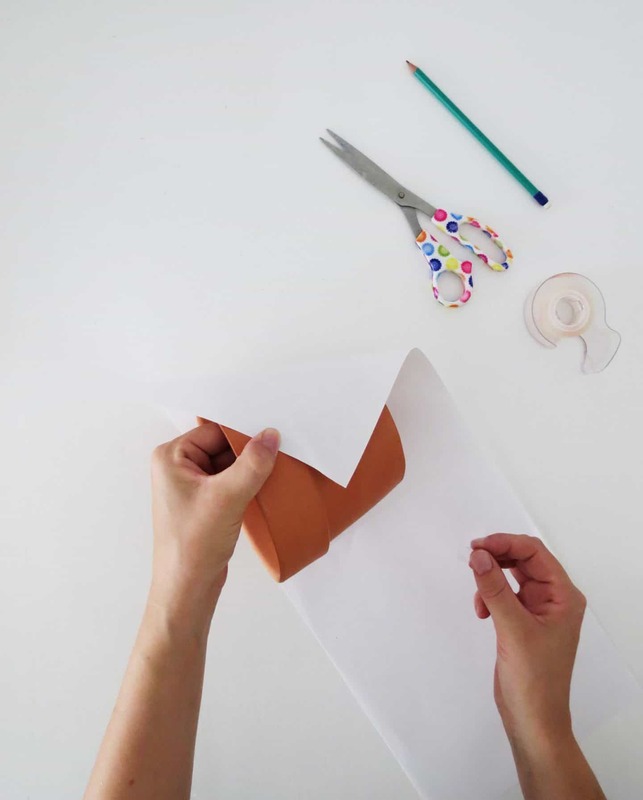 You can attach several sheets together with tape if needed. 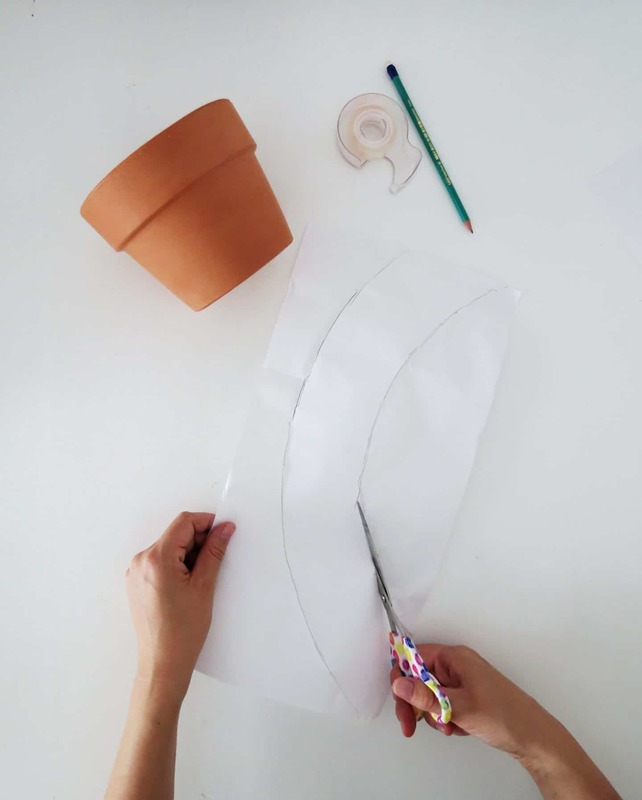 Wrap the sheet around the planter following its shape. Add some tape, here and there, to hold the sheet on it. With a pencil, mark on the sheet the top and the bottom lines of the planter. You need to draw the lines all way around the planter. Carefully take off the sheet and put it flat without ripping it. Cut the shape following the two curved lines you just drawn. Your template is almost finished. Wrap the template around the planter again. Check that it fit nicely. Most likely the ends of your template will overlap. 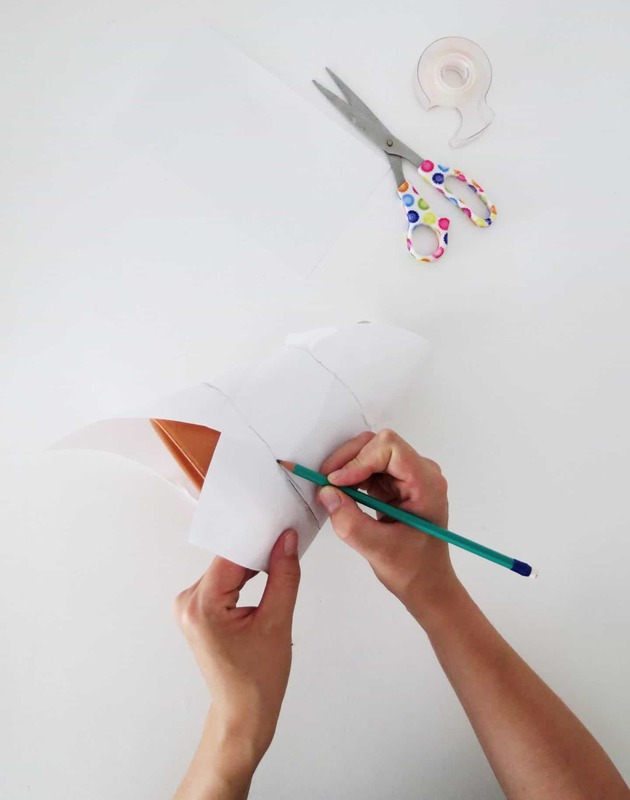 Draw an oblique line and cut both layer of paper along it. And done, you just finish to create the template. Time to make the leather cover. 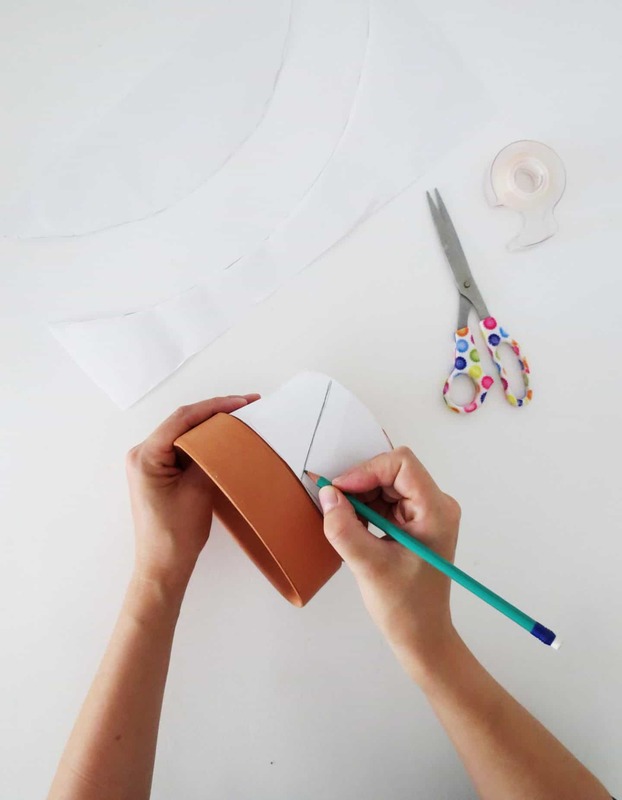 Place the template on the leather, report the shape and cut it out. 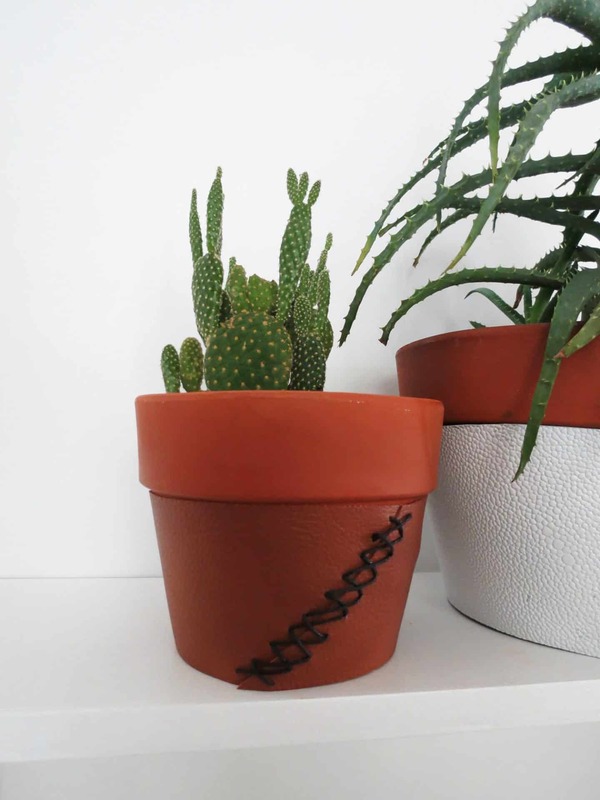 To lace the leather around the planter, you need to make small holes along the edges. You can use a punch tool or, if you don’t have one in hand, a small nail and a hammer. If you choose this second option, place a piece of wood under the leather before nailing to make the holes. 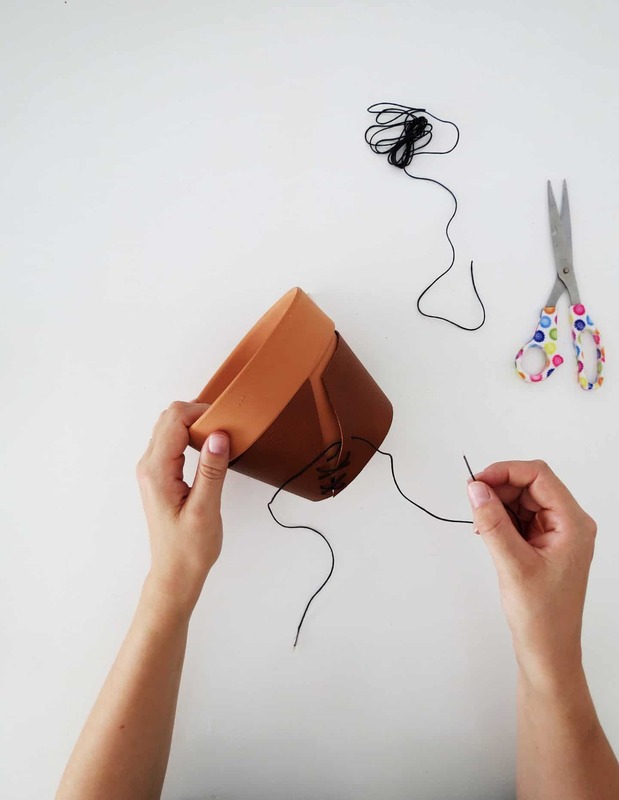 Place the leather around the planter and lace it. 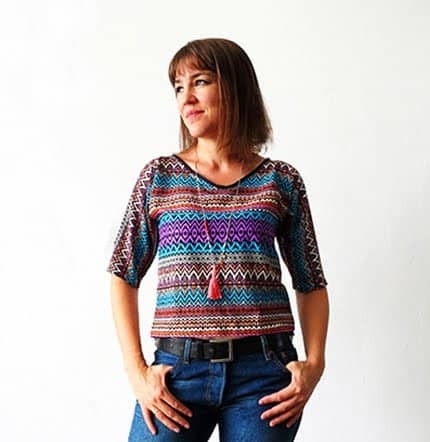 I choose to make a cross lacing but don’t hesitate to try other options. 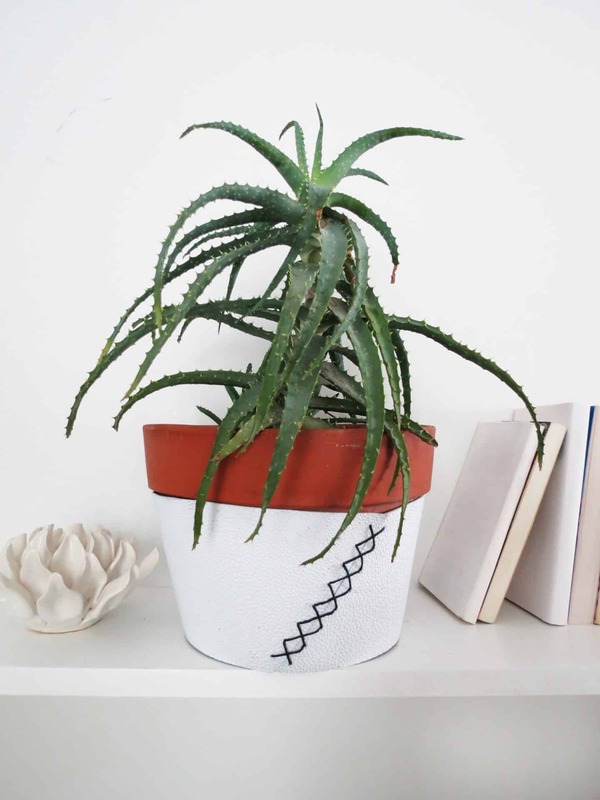 Repot your favorite plant and enjoy your new customized planter. 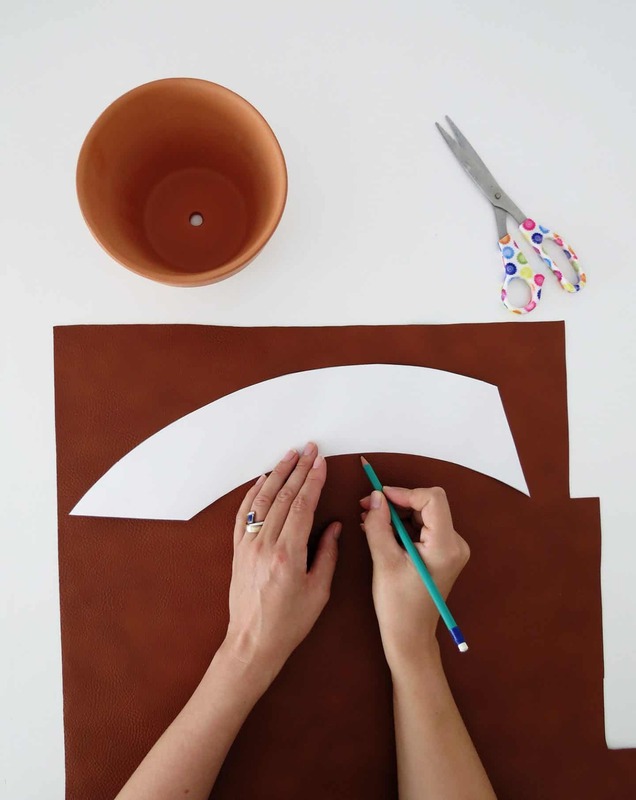 Save the paper template, you can use it again to cover other planters with more leather colors. I like to mention that I was inspired by this pin to create the tutorial.